The All Slots Casino app has launched on the Apple App Store in the UK. 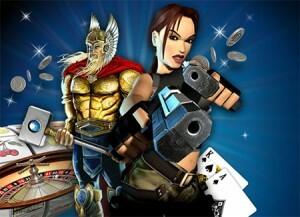 Now iPhone and iPad users can enjoy the collection of high quality casino games offered in full HD graphics. All Slots Casino is now available for the iPhone and iPad and can be downloaded from the App Store. Best of all there’s a welcome promotion running which sees all new users given a free £5 bonus and a £500 Welcome Package. Every month All Slots Casino releases new games giving players even more options and exciting ways to win. Four new slot games were released for the Android version of the app earlier this month, Alaskan Fishing, Dr Watts Up, Stash of the Titans and Rhyming Reels – Jack and Jill. David Brickman, All Slots Casino’s Vice President of Player Affairs said, “We are thrilled to release All Slots Casino on the App Store. All Slots casino regularly runs excellent promotions with fantastic bonuses, so iOS users after some mobile gambling fun need look no further.